Travel Thru History Visit Montreal Quebec and experience the past, present, and future. Vivant (alive) is the phrase that best describes Quebec’s largest city. 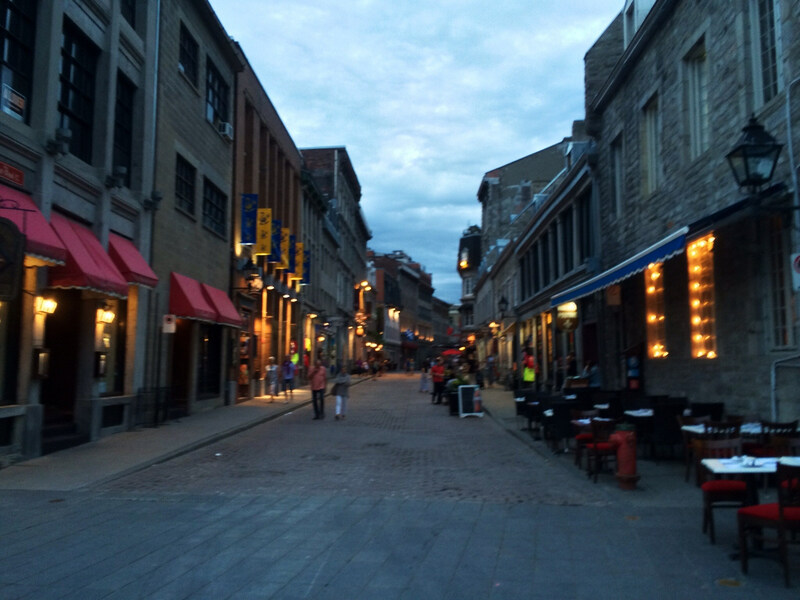 The city has an undeniably Quebecois feel, but isn’t afraid to show its own identity. Street fairs stretch into mid-winter, with frolickers embracing the cold and tourists and visitors enjoying the cultural ambiance of festivals like the Franco Follies and Igloofest. This festive spirit has a long history. In 1967, Montreal hosted one of the world’s most memorable festivities – the largest World’s Fair in the 20th century – Expo67. The remnants and heritage of that expo remain all around the city to this day. In 1967, Montreal showed us the future with new transportation methods and new ideas for efficient housing like Habitat ’67, which is still occupied today. Montreal Skyline with Olympic Stadium. Photo via wikipedia. If you aren’t from Quebec, you’re probably going to have the impression that Montreal has a French influence. Quebecois French and the French spoken in France are different. Culturally, the two are miles apart – Montreal can’t help but express a little French and British inspiration, but the city is proud of its uniqueness, and although some Quebecois would prefer to be free of the label “Canadian,” they wouldn’t be thrilled if they were labeled “French,” either. Montreal has been around for hundreds of years. In the 1500s, the French arrived. They set up shop as fur traders in the town that predated modern Montreal, until it was given to the British army in 1760. Within a century, Montreal was the largest BRITISH city in North America. 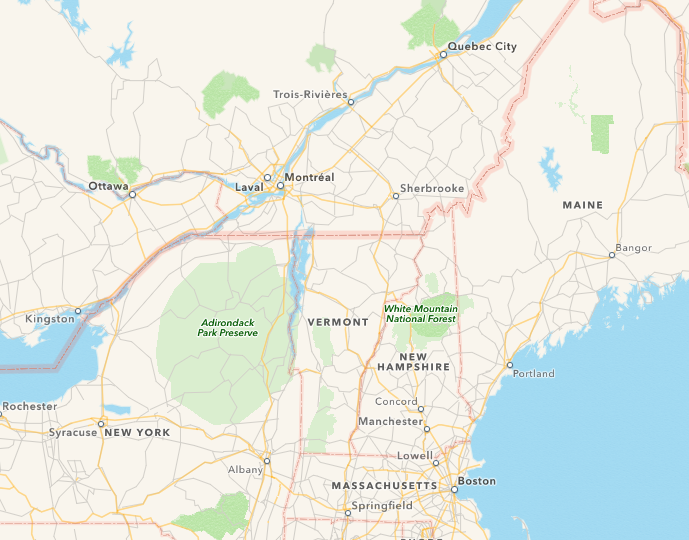 The surrounding area was still largely Francophone, however. 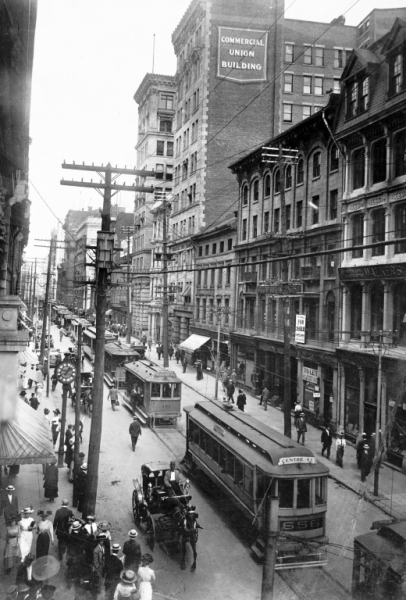 As a result, when Montreal grew, so did the number of French-speaking inhabitants. The tug of war between British and French culture created something unique. Something Quebecois, but different from much of Quebec, even. Montreal even has a touch of Scottish influence. It’s a place with a unique feel – something not quite British, not quite French, almost Canadian, and distinctly Quebecois. Do not feel intimidated visiting Montreal should you not speak French. Nearly everyone is bilingual and inviting. The city has a bohemian, hipster, old-school, contemporary and even futuristic vibe all in one. 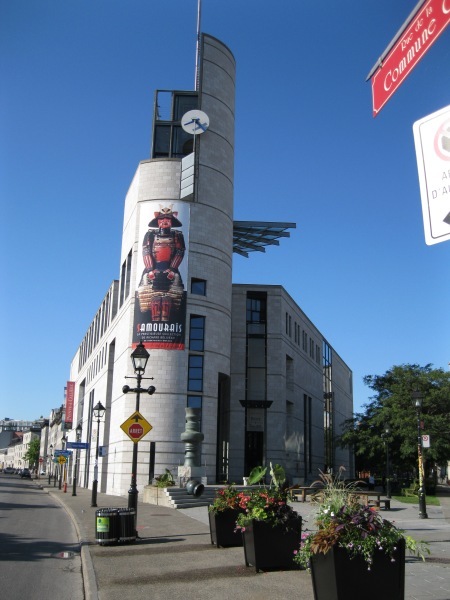 Built on an archeological site, this museum pays homage to the unique past of Montreal, from its days as an Iroquois and Huron settlement through the modern era. The artifacts aren’t shoved into perfect glass cases in a white walled room that’s cleaned perfectly every night, either. They’re displayed in situ, adding to the historical integrity of the museum. Exhibits that are fun for all ages and fully interactive, as well as multimedia displays and carefully preserved relics keep the whole family interested. Pointe-a-Calliere Archaeology Museum. Photo via wikipedia. Paris isn’t the only city with a majestic basilica named Notre Dame. 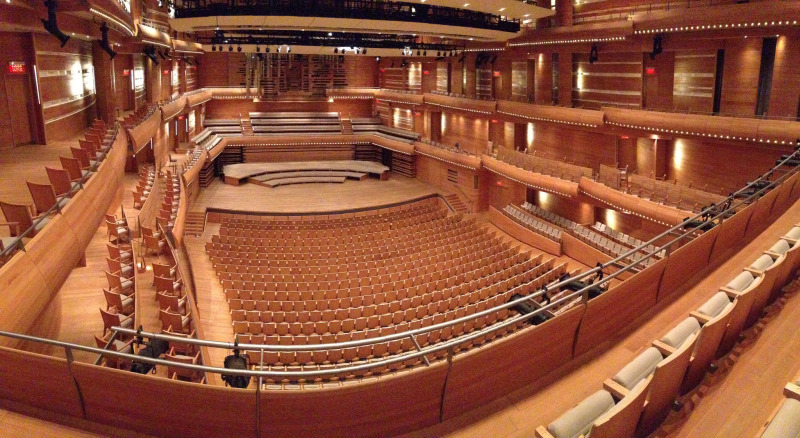 Montreal’s is equally stunning, and the acoustics are even more so. A beautiful blue ceiling is an unexpected delight for many visitors, but the sound that emanates from the organ’s 7000 pipes draw crowds of visitors Tuesday-Saturay for the church’s “And Then There Was Light” organ and light show. Bonus for history buffs: the stained glass windows of this church aren’t of biblical scenes or saints. They depict the history of the church in Montreal. The sound and light show also offers a historic twist. 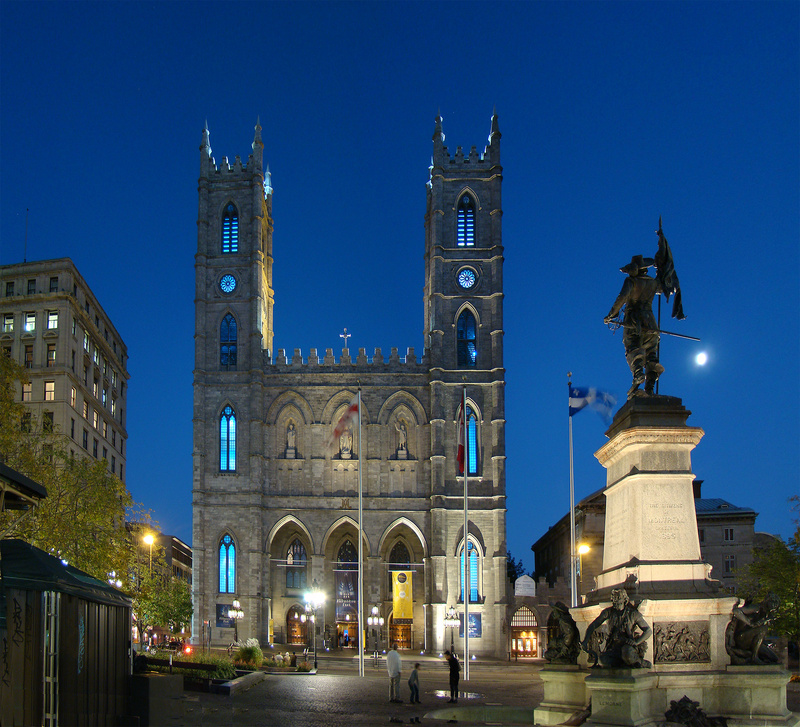 Notre Dame Cathedral, Montreal. Photo via wikipedia. Looking for an escape from the historic, but not in the mood to lose the music? Head over to the Maison Symphonique. The acoustics in this 2100 seat concert hall were carefully designed to ensure the best listening experience possible, with no outside interference. 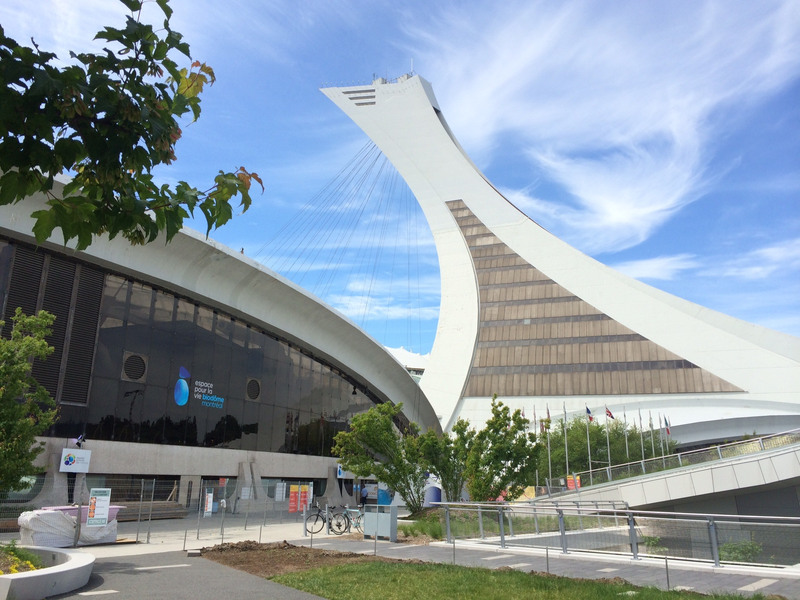 This LEED certified building may not be history yet, but once you learn about the engineering and design that went into its construction, you’ll see why we think it’s going to be one of Montreal’s landmarks for years to come. Opened in 1992, the Biodome is more than just a zoo. This park was the first to offer the ecosystem experience for wildlife exhibits, and provides visitors with a unique peek into a tropical rainforest, the Laurentian Maple Forest, and the Gulf of Saint Lawrence, among other exhibits. Special exhibits for kids and teens make it a family-friendly outing that won’t get boring. The Biodome even offers online games for the younger members of your family, to help them learn about the animals they’ve seen on their trip. Biodome inside Olympic stadium. Former home of the Montreal Expos. Photo by Joe Dorsey. Making good use of an old space, the Biosphere sits inside the architectural remains of Expo67 in Parc Jean-Drapeau. It is the very obvious inspiration for the Epcot ball in Walt Disney World Orlando. The Biosphere’s focus is on environmental awareness, and the site hosts numerous special events. It’s also an amazing repurposing of space. Learn about weather, climate change, and energy technologies. Pick up a BioKit and explore nature as a family. Explore the surrounding park. No matter what time of year it is, you’ll enjoy the visit. The Biosphere at sunset. Photo via wikipedia. Thanks to the city’s overwhelming French influence, food is more of a religion than ‘grub’ in Montreal. If you’re tired of the etiquette-bound fine-dining, or your fears of broken fine china and toddlers tipping over wine glasses make many of the top-rated restaurants impossibilities, take heart. The three places we’re taking you to are kid-friendly, fun, and home to some of the best food in the city. Unpretentious, rebellious, and unconventional, Joe Beef isn’t a burger shop, despite the name. In fact, this fine-dining stop was christened after an Irish immigrant to Montreal. Since it’s opening in 2005, the restaurant has more than doubled in size – and rightly so. Joe Beef is home to the freshest salad you’ll ever try, plucked from the restaurant’s own garden. A delightful oyster bar offers the best in food on the shell, and the menu is picky-eater proof, offering a wide range of gourmet-but-grounded cuisine for all ages. The fact that it’s posted on a chalkboard on the wall just adds to the fun. If Joe Beef’s still sounds a little too upper crust for your taste at the moment, check out Schwartz’s. This Jewish deli is a Montreal institution, with more than 80 years in operation and the best smoked meat (the Canadian equivalent to corned beef) in the city. Huge sandwiches with generous portions of deli meat, simple and cleanly-flavored sides, and a humble interior make this place a family favorite. If you don’t have to time to sit down and eat, grab your food to go. Craving a little gourmet indulgence that everyone in the family will enjoy? Head to Juliette & Chocolat…or as I like to call it, Temptation Island. There’s more chocolate here than you’ll know what to do with, and if you’ve got allergies, you’re covered. They’ve got white chocolate, too. Brownies, beverages, and preparations of chocolate you’d never think possible…including a salad with dark chocolate vinaigrette. You’ll find them all in one of this Montreal chain’s 5 locations. For more information on a trip to Montreal visit the official site.